Organic living begins with asking questions, many of which have always been there to ask, yet were not brought to our attention because we were either taught just to accept things the way they were or simply assumed that all the necessary checks and balances overseeing the products we buy were already in place. Surely, there are mandates in place that safeguard our household products and prevent companies from selling things that are dangerous to our health, right? And going by appearances, this indeed seems to be the case. However (and yes, this is a BIG however), we are beginning to learn that many of the so-called "safe" products we use around the house are not so safe after all. There has never been a better time to start living organically. The movement to "go green" is a recent one that is not expected to subside any time soon. In fact, the necessity to take up organic living, restore our roots with Nature right now and abstain from old shortcuts and quick fixes has become so urgent that "going green" is now a way of life, and not just some passing fad. In mankind's quest to make everything more easy and economically efficient (in other words, maximize profit), we have unfortunately lost sight of doing things the way Mother Nature intended. If you stop to think about it, it's unfortunate that we even need to distinguish "natural" from "organic", which goes to show how natural living has been molded by, yet again, outside forces selling so-called "natural" products. Certainly, living organically is not always as easy as living a life with modern day conveniences and products that many of us have grown accustomed to. However, a little elbow grease often ends up being the best thing for us anyways. In the past, this has unfortunately kept some people from making the switch to organic living, not to mention organic products generally cost more than their processed and synthetic counterparts. This is all beginning to change now. Since the wakeup call has been made and more people are aware and committed to organic living, the demand for organic products has skyrocketed, more conscientious companies are developing innovative organic products and prices are coming down. So what is Organic Anyways? An organic product is something that is composed of natural ingredients that have been grown without the use of pesticides, genetically modified organisms (GMO's), manmade chemical fertilizers, ionizing radiation or sewage. In regards to animal products like eggs and milk, these are organic only when coming from animals that have not taken growth hormones, antibiotics nor food that is synthetically grown. Organic produce must go through the ringer, if you will, before it can be organically certified by the USDA. In regards to local produce, small farmers often don't have the financial resources to obtain an organic certification. That doesn't mean it's not organic. Ask your local farmer about their farming practices. The United States Department of Agriculture defines organic food as that which is produced by farmers who practice soil and water conservation and make use of renewable resources in order to ensure the sanctity of the environment for future generations. From the farm to the delivery service used to transport organic produce, a certification is required to obtain the USDA's Organic Seal. In addition to a pre-certification process in which a government approved certifier inspects the facilities where organic food is grown/prepared and transported, annual inspections, randomly unannounced inspections and record auditing are enforced to ensure the integrity of organic operations. Converting land to organic status takes three years alone. Since it takes at least two years to build up the necessary natural fertility of the land, it is not until the third year of organically growing crops on a plot of land that the crop can be given the USDA Organic Seal. The USDA labels both single ingredient and multiple ingredient products in one of three ways: For single ingredient products like produce, the "Organic" sticker means it is 100% Organic. For multiple ingredient products, "100% Organic" means all ingredients are organic. The designation "Organic" means that 95% of the ingredients are organic, while the label "Made With Organic Ingredients" means the product must be composed of between 70-94% organic ingredients. Okay, so now that we know what "Organic" means, why is organic living so important? Honestly, this can be answered with one simple word - Toxicity. One of the largest contributors to toxicity exposure is our very own homes - the place where we do most of our "living". If you or someone you know persistently suffers from chronic health conditions, such as repeated headaches, coughing, colds, sore throats or unexplainable tiredness, a likely cause is from daily exposure to toxic chemicals. According to the National Academy of Sciences, approximately 15% of people residing in the U.S. are hypersensitive to toxic chemicals and/or have an environmentally induced health condition. It is estimated this number will rise to 60% of the population by the year 2010. And this isn't just the trend in the U.S. either. In an eighteen-year time span from 1972 to 1990, global use of pesticides rose from 2.8 million tons to 46 million tons. And just to show how much we truly do not understand about the long-term effects from many of these chemicals, the Environmental Protection Agency has banned many of these chemicals due to ongoing research. Two of the most commonly used house and lawn pesticides - Dursban and Diazinon - have both been banned by the EPA as being an "unacceptable health risk" to children. While this is good work by the EPA in the name of organic living, the ban did not come until over thirty years of widespread use of these chemicals. Furthermore, the EPA still allows these chemicals to be used for agricultural purposes. And while we are on the topic of the EPA banning chemicals and issuing warnings, a common chemical used by dry cleaners - perchlorethylene (pronounced per-klor-ethyl-ene) - has been listed by the EPA as a possible carcinogen and hazardous environmental pollutant. You may have recently noticed some drycleaners posting an "Organic" sign on their premises or in their store window, which essentially says they are abstaining from the use of "Perc" and are only using non-toxic, hydrocarbon cleaning solutions. While much of our exposure to pesticides comes from outside sources that we bring into our homes, such as our dry cleaned clothes, insect/rodent killers and produce we buy at the grocery store, there is also a great deal of risk to chemical sensitivity in the cleaning products we store around the home, inorganic mattresses and sheets, as well as in the building products of the home itself. Research shows that the greatest extent of our exposure to volatile organic compounds and pesticides comes from inside our own homes. As mentioned earlier, there are many safe organic living alternatives to the more potentially dangerous cleaning products out there. You may have already heard about vinegar and baking soda as an excellent natural cleaning products. One part vinegar to one part water makes a great window cleaner. For bathtubs, tiles and sinks, baking soda and water does a great job getting the grime out. And when you combine baking soda and vinegar together, you have an effective drain cleaner. Baking soda also makes for a great dishwasher detergent when mixed with borax, as well as a natural laundry detergent. Admittedly, vinegar has a very strong smell that sometimes can be a little too much to take without proper ventilation. Also, sometimes we simply need something a little stronger than baking soda. This is where natural biodegradable cleaning products come into the picture. There are many products on the market these days that possess either little or no volatile organic compounds. Many of these are soy and vegetable based enzyme cleaners, void of nitrates, sulfates, sulfonates, phosphates and other pollutants. Additionally, many of these natural cleaners use natural essential oils from citrus, which you guessed it, leave a pleasant smell much more bearable than vinegar. Most of us usually have some type of cleaning solution stored inside the home. The same goes for pesticides and gardening products, although these types of products will more often than not be stored away in the garage. Whether you have a garage or not, having pesticides and other volatile compounds sitting around is not a wise choice. Even if stashed away, pesticides will emit volatile fumes which go into your lungs. If you have ever walked down the pesticide or gardening aisle at your local hardware store, you have certainly noticed the smell. Even if undetected by your nose, you can still be inhaling noxious compounds. Understandably, pests come around and get inside the home. The proper alternative then is natural pesticides, which are just as effective as their caustic counterparts. There are even highly effective natural weed killer products being sold these days, as well as other organic gardening products. If you have a mice problem and can't stand to kill them in all their furrry cuteness, you can opt to use humane mice traps. With all this talk about spending so much time inside the home, it goes without saying that a great portion of this time spent is in our own beds. You might have heard about organic mattresses and wondered why the need. Well, these days most mattresses are made of plastics and foams that emit toxic gases. Known as outgassing, this also happens with many building products used in the structure of our homes. As for synthetic mattresses, healthy alternatives are mattresses made of certified organic cotton, hemp or even wool. And the sheets? No, these are not so much culprits of outgassing as they are transporters of chlorine and other toxic chemicals. Chlorine is often applied to bed sheets in order to give them a consistent color, which also happens to be the product of using chemical dyes. Furthermore, to stop the Chlorine from breaking down the fabric of the sheets, more chemicals are used to neutralize it - A textbook case of treating symptoms upon more symptoms and side effects. So why the need for organic sheets, when there are 100% cotton sheets out there that do not use dyes and chlorine. The answer is that the cotton used to make these sheets is not organic. The reality of the situation is that more pesticides are used on cotton than any other field crop. Not being able to break down in water, residue from these pesticides actually remains in the fabric of the sheets. Not to sound too extreme, the other reality is that the levels of pesticide residue in the sheets are so low that nobody is going to die. However, you just don't know if you are in that percentage of people who are hypersensitive to certain chemicals. Also, by making a choice to go with 100% organic cotton sheets (affordably available at many an online organic bedding sale), you are telling the cotton growers that organic living is the new standard. Only then will they begin to stop using these pesticides which are no doubt polluting the environment. Oh, and did I mention that organic sheets as well as organic pillow cases and bamboo sheet sets, are some of the softest and most comfortable sheets available. If you happened to oversee the construction of your home and were not employing a green-minded LEED certified contractor, it is likely that many of the products built into your residence pose a certain level of toxicity, not to mention non-earth friendliness. Again, don't think this means you are living in a toxic wasteland and are doomed. It simply means there are are some remedies and preventive measures at your disposal to neutralize this toxicity. So, where goes this toxicity come from? The prime culprits are carpeting, paint, building boards, furniture, insulation and bedding - all of which undergo a process called outgassing that is a bi-product of chemical treatments. For instance, synthetic wood treatments and carpet adhesives will begin to emit gaseous compounds, such as formaldehyde, at room temperature over an extended period of time. Obviously, this can be avoided by staying away from carpet altogether, which happens to trap more toxic dust particles than you can possibly imagine. Hardwood flooring is the best solution to fix this. Bamboo hardwood floors, natural cork flooring, vinyl and natural linoleum are all excellent alternatives. Regarding chemically treated furniture, great alternatives are natural wood furniture, as well as recycled wood furniture and recycled plastic furniture. When it comes to paint and other remodeling/maintenance products like floor coatings, stainers and sealants, there is an impressive selection of non-toxic and soy-based products, including soy based paint remover, with low or no volatile organic compounds on the store shelves these days. So, what is there to do if taking out your carpet and buying a new set of furniture is not a feasible option at this time? The one thing that is going to make a world of difference is to purify the air. Regardless if your home is green or not, toxic chemicals are going to find their way into every home. A more precise explanation is that toxic dust particles will find their way in every home. While many chemicals will naturally be broken down by Mother Nature, when these very same chemicals are indoors and not exposed to the elements, they tend to stick around...indefinitely. And what helps them stick around is something we are all familiar with - Dust. Acting like a filter for microscopic chemical compounds, dust particles essentially take on the characteristics of these compounds. Besides doing the legwork of staying on top of dusting and vacuuming inside your home and ensuring proper ventilation, one of the best things you can do to purify the air indoors is to make use of clean air products such as air purifiers. Capable of filtering particles as little as .2 microns, having the best air purifiers for allergies around the home is a smart thing to do. As you can see, there is a lot that goes into organic living. However, if you give it a chance, it simply becomes a way of life. If you are tapped into why you are doing it to begin with, organic living will be anything but a burden. Even if you only do one thing mentioned on this page to live organically, you are heading in the right direction. Remember, you deserve it. Organic living is about loving yourself. And since we are all integrally united with Nature, organic living is a cause for the environment of our planet as well. 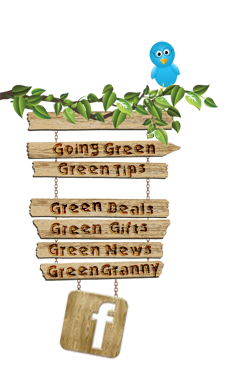 To continue the life of Organic Living please search through our ever-growing Organic Living Tips & Articles below.